To start, you need to get the Mark-42 armor (crafting recipes below). Then click on the ground to activate armor and turn into Iron Man. 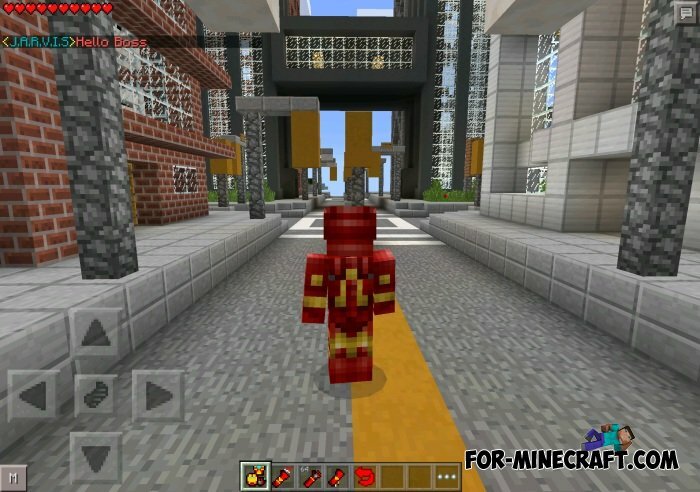 As Iron Man, you will become invincible, able to fly and run very quickly and also you can see even further. You get incredible power with the new armor. There are many different gadgets that you can create and use while you are in a suit. If you like to ignite or explode something, the Mark-42 rocket launcher is for you! The Mark-42 Bullets - a automatic machine gun that allows you to quickly shoot. Do you want to kill enemies with a single blow? Then use the Mark-42 Punch gadget, which destroys all on the spot! 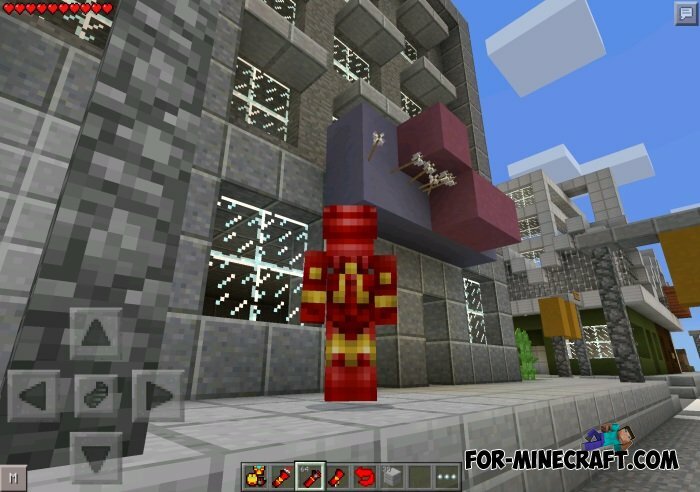 Halo 4 mod for Minecraft PE 0.10.5This mod adds a Mark V armor and seven new objects from the universe of Halo 4. 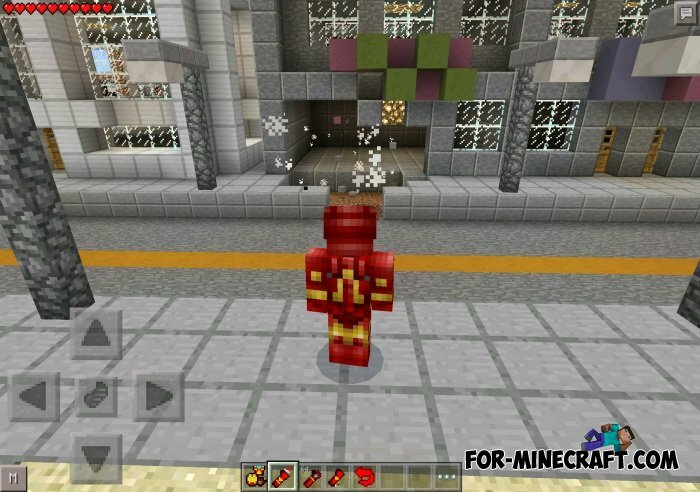 CyborgArmor mod for Minecraft PE 0.10.5Hello everyone! I want to show you a new, but very cool in my view mod - cyborg armor. Lucky blocks mod for 0.10.5The mod will add 6 multi-colored blocks with a question mark on each side. Lucky blocks randomly craft absolutely any items.